Selling to today’s numbers-obsessed buyers requires a new dexterity with numbers. 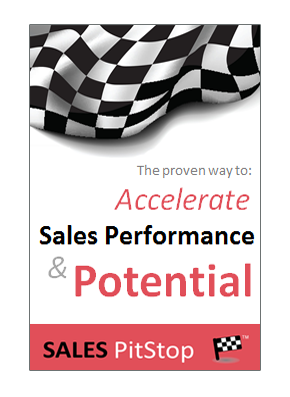 But that poses a challenge for many salespeople. Could you sit down with an accountant (or accountant-type) for 30 mins and absolutely convince him, or her about the merits of your solution? That is a key measure of the type of skill required to sell to today’s numbers-obsessed buyers. Before you answer ‘yes’ to the question think about it a little. While sellers predominately use words to sell, those doing the buying are increasing reliant on numbers. Sales and accountant stereotypes are in many ways at the opposite ends of the spectrum in terms of key personality characteristics (such as introvert – extrovert for example). The challenge of selling to the more numeric buyer seems to be made more difficult by the fact that sellers and accountant-types don’t seem to be hanging out together! Do You Have Accounting Friends? Do you have any friends who are accountants? We asked this question of a group of over 100 salespeople recently. They were struggling to adjust their traditional sales proposition to appeal to more numbers obsessed buyers and we thought the question might help us understand why. The question revealed that the social circle of the salesperson is peculiarly limited – none of the sellers present had any accountant friends! It might however go somewhat towards explaining why salespeople struggle to put numbers on their sales propositions. That includes building the business case and calculating the return on investment, or total cost of ownership. If salespeople hung around with accountants more they might be better able to sell to today’s numbers-obsessed buyers. So, the advice to sellers is to befriend an accountant! Do Sales Opposites Really Attract? The joke in university was that those who chose sales and marketing options were ‘failed accountants’. In other words salespeople became sellers because they did not like, or were no good at numbers. From then on sellers and accountants parted ways and grew increasingly apart. Put a typical salesperson and a typical accountant side-by-side and most people would immediately observe the differences between the two. Indeed, if the stereotypes were to be applied in full, the accountant and the salesperson would contrast to the same degree as chalk and cheese (as shown in the table below). If opposites attract, then sellers and accountants should get along really well together! But unfortunately that is not the case. As many studies have shown the distance between the accounting and sales/marketing professions can be quite large. The result is a certain amount of suspicion between the two. Increased risk of stalled deals, as well as other shocks and surprises during the sales process. 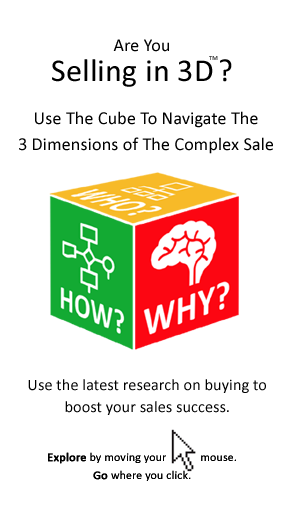 Sellers need to try extra hard if they want to connect with the accountants and accountant-types involved in buying decisions. Selling to numbers-obsessed buyers is the new reality. The seller can’t change the fact the buyer is obsessed with numbers, but he, or she can influence the numbers that the buyer is looking at and most importantly to draw the buyer’s gaze from lowest price to best value. The challenge in selling to ‘accountant-types’ is to talk less and calculate more. It is to ensure that the sales pitch and proposal encourages the buyer to take out a calculator or spreadsheet. That means sellers need to get better at maths. So as to replace verbs and adjectives with numbers and metrics. Sellers need to morph into a more accountant friendly version of their old selves. Indeed, they need to sell like an accountant.